Now autumn has started we see that trees let go of their leafs. A diversity of colour is lying on the ground. But what happens thereafter? Who is responsible for litter breakdown? What does it bring? So many questions while gazing outside. Luckily Ciska Raaijmakers from the NIOO-KNAW is invited to talk about: the role of specialized decomposers for litter breakdown and plant growth. We are looking forward to see you there (27 November at Gaia 1 at the campus at 16:00). See also the attached poster. Naturally, after the meeting there will be drinks and snacks! If you are interested to get to know more about litter decompositionPSI poster 27 november 2018PSI poster 27 november 2018, this is the meeting for you! We hope to see many of you there! Unfortunately we have decided to cancel our next scheduled meeting due to a very low number of applications of people who wanted to present something about their work. We have decided to combine some of the small talks with our next speaker on the 27th of November so keep this date free in your agenda! PSI is searching for new organisers! 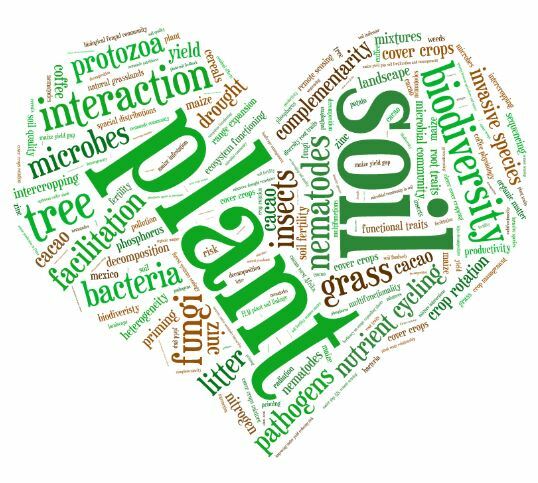 Do you like to discuss interesting topics related to plant-soil interactions? Would you like to determine the topics and speakers of the meetings yourself? That is possible! Our organizing team has an open spot for anyone who would like to join. Let us know if you are interested. It does not take a lot of time and it is lots of fun and informative. If you do not like to join the organizing team, but you do have a brilliant topic, presenter or presentation for an upcoming meeting, let us know as well! This year PSI will kick off with a meeting about induced systemic resistance (ISR). For most of us this was a fairly unknown subject. Luckily, we can announce that Dr. Peter Bakker (assistant professor of the University of Utrecht) can explain us all about ISR by presenting his work about the effects of induced resistance on the rhizosphere microbiome. We’ll meet at the NIOO colloquium room at the 28th of February (15:30-17:00). Naturally, after the meeting there will be drinks and snacks! If you are interested to get to know more about ISR, this is the meeting for you! We hope to see many of you there! Next meeting: From an old black box a new black box. A changing perspective on plant-soil feedback, Nov 13th, 15.30h, NIOO. We are happy to announce that we will gather together soon for the next “Plant-Soil-Interaction” discussion group (PSI) meeting, in which we will discuss the core topic of our discussion group: plant-soil feedback! On the 13th of November, Wim van der Putten (Terrestrial Ecology, NIOO, Wageningen) will guide us through years of plant-soil research, and will present how his perspective on plant-soil feedback changed during his career and where we should go with future research: “From an old black box to a new black box”. Hope to see you in the NIOO colloquium room at 15.30 pm! Next meeting: Making the most out of living together. 25th of September, 15.30h, W0.7 Radix. Intercropping, growing multiple crops together, can increase yield! But how does it work and what can we do with it? On Monday September 25th, Wopke van der Werf from Crop system analysis, WUR, will present his research on “how intercropping can enhance crop ecosystem services in agricultural systems”. Which ecosystem services can be enhanced by intercropping? And what interactions and mechanisms are involved? Afterwards, PhD candidate Ali El Hakeem will show us a cover crop experiment at Unifarm to see how it is possible to set up an experimental trial to study plants’ combinations in time. For more information see the attached poster. Hope to see you in Radix W0.7 at 15.30 pm! Summary: Disease suppressive soils with dr. ir. Joeke Postma. Plant yield losses due to soil-borne diseases is one of the major threats to agricultural productivity. Some soils are able to reduce these losses, by protecting the plant from pathogens. This is called soil disease suppressiveness, and it can have a biotic and/or an abiotic origin. In our PSI meeting on the 12th of June, we discussed soil disease suppressiveness with Joeke Postma, senior researcher at the department of Biointeractions and Plant Health at WUR. She has worked for more than 30 years in the field of biotic soil suppressiveness and biocontrol organisms in agricultural systems. The work of Joeke focuses on how agricultural practices stimulate beneficial microbiota and interactions with plants. Unfortunately is not simple as it sounds! For example, in her research, organic matter addition resulted in disease suppressiveness; but this effect is not always observed. Further research will be carried out to generalize which type of organic matter addition can increase soil disease suppressiveness. Another big question is to find out the mechanisms of soil disease suppressiveness. After many years of research it is still not clear how this property works, as results vary between pathogens. The use of novel technologies, such as metatranscriptomics, seems to be an efficient tool which could help in the unravel the complexity of this extremely important and fascinating soil property! After a very interesting discussion we cycled with Joeke to the Unifarm where she showed her experiment about Rhizoctonia suppression with different organic matter addition (Picture below). In addition also Giulia Bongiorno (PhD at the Soil Quality Department and PSI discussion group co-organizers) showed her experiment where she monitors the effect of different agricultural management practices on soil general disease suppressiveness using Pythium-cress pathosystem (Picture below). Interested in learning more about soil disease suppressiveness and the impact of agricultural management on this soil property? Postma, J. and Schilder, M.2015. Applied Soil Ecology. Enhancement of soil suppressiveness against Rhizoctonia solani in sugar beet by organic amendments. On May 23rd 2017, we headed back to the roots, and hit the road to Jülich Forschungszentrum for a field trip which took us into the world of root phenotyping. We met up with our guide for the day, Johannes Postma, who studies root architecture and develops simulation models which can predict how root architecture influences nutrient uptake and plant growth. We had the opportunity to present some of our own research, and then it was time to learn all about the research going on at the Plant Sciences division of Jülich Forschungszentrum. Borjana Arsova presented her research on the proteomics of zinc transporters in roots. She studies the sensing and signalling pathways involved in the uptake of zinc (as well as other nutrients such as nitrogen), and how the plant responds to changes in nutrient availability. She presented current experiments she conducts with her PhD student, which test protein regulation by post-translational modifications of the model plant (Brachypodium) under conditions of zinc stress, and when zinc is resupplied. Next, Arned Kuhn presented his research on ‘cool roots’. We all agree of course, roots are cool! Arnd studies the effect of temperature and temperature gradients on root (and shoot) growth in crops such as barley and lettuce. He showed us the experimental set-ups in the greenhouse, where they showed that soil temperature significantly changes the aboveground biomass and root:shoot ratio of lettuce. Next, Josefine Nestler toured us around the rhizotron set up. Here, she can grow plants in the rhizotrons where a robot photographs their root system at a desired interval. Josefine studies root growth, root hair development, and root response to abiotic stresses in sorghum. Dagmar van Dusschoten then gave us a tour of the NMR (nuclear magnetic resonance)/MRI (magnetic resonance imaging) set up which allows for non-invasive 3D imaging of root systems. Here, he manages the MRI experiments, working to create the best experimental conditions to study the effects of various abiotic stresses on root architecture and plant growth. After, Robert Koller spoke to us about his research using MRI and PET (positron emission tomography) scans to trace 11C transport through roots. Robert uses MRI and PET to monitor carbon allocation in roots in response to changes in temperature, water, and nutrient availability. Robert also studies the link between root morphological and functional traits in a variety of environments. Full of information, and with our eyes open to all the cool tools that are available to help us discover our roots, we headed back to Wageningen. A huge thank you to the researchers at Jülich for your hospitality, and for taking the time to show us your research! A very special thanks to Johannes Postma for organizing, and for leading us through this great day! PSI special: Day trip to root phenotyping facilities of Forschungszentrum Jülich, 23th of May 2017. Are you interested in plant-soil interactions? Curious about how roots respond to their environment, and what this means for plant growth and plant community interactions? Want to know the latest developments in root phenotyping technologies? If yes, then don’t miss the PSI special- Field Trip to Forschungszentrum Jülich! Forschungszentrum Jülich has developed a variety of state of the art plant phenotyping platforms. Various techniques, from non-invasive techniques such as Nuclear Magnetic Resonance, to modelling approaches such as OpenSimRoot, are used to quantitatively assess root structure and function in various environments. In this field trip, you will see root and shoot phenotyping in action! You will also have the opportunity to present your own research in a 10 minute presentation. Three PhDs from our group will get the chance to present their research, so please indicate below if you would like to present. A program will follow soon. If you have any questions, do not hesitate to contact us at plantsrock.wageningen@gmail.com. Due to space limitations, a limit of 20 participants is set- so don’t delay, register today (at https://www.pe-rc.nl/node/20099)!